Xmas is approaching and it would be nice to decorate your home before the holiday. Using Christmas Texture pack, you will get the most popular Christmas items, except for the Christmas tree, unfortunately. You will be able to transform every room, hang a garland, place gifts and invite villagers dressed in Santa hats. For those who want to make a real Christmas in MCPE 1.0, it was created a special pack. 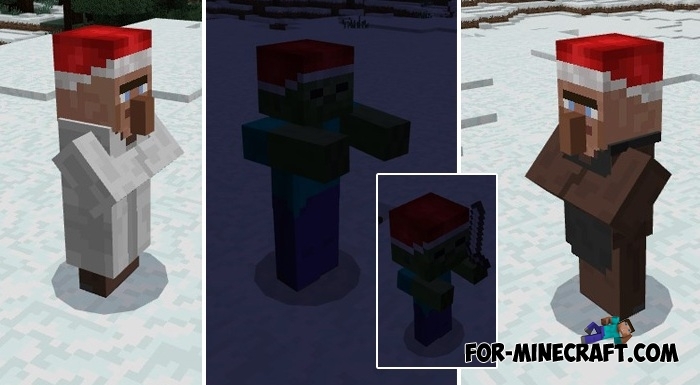 A few popular Christmas mods are collected here - Christmas mod pack for Minecraft PE.